Classic style meets modern comfort with the Sprocket. The sinfully bobbed and chopped design makes this solo seat a guaranteed head-turner. That bobbed design is about more than style: it also creates ample back support to provide even more comfort while riding. 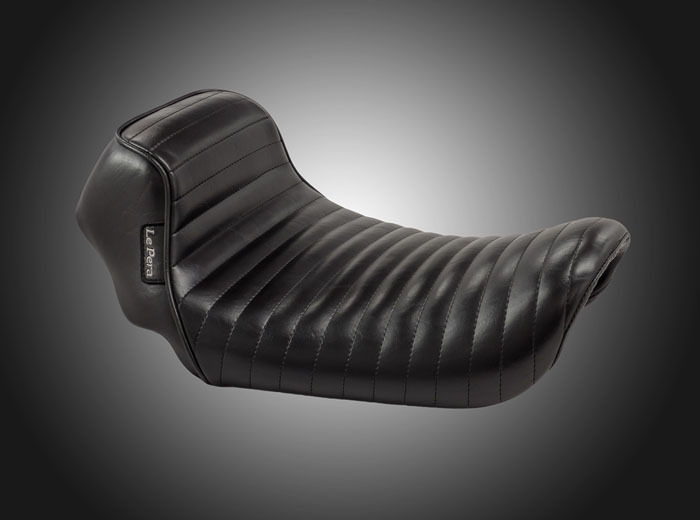 The Sprocket solo seat is available in three finishes, including Smooth, Diamond and Pleated (shown here) Contrast color stitching is available for each. Many other custom materials and stitch graphics are available as well!